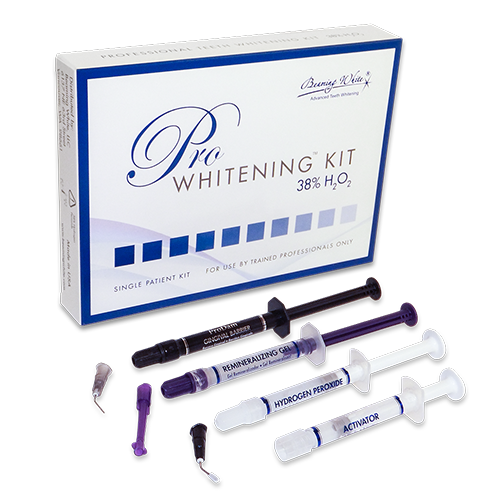 Our Pro Whitening Kit™ is a truly special professional teeth whitening kit. We feel confident in saying that no other bleaching kit anywhere in the world gives better results, yet at the same time it’s the one that gives the least sensitivity of all the major brands. 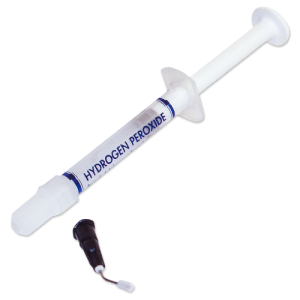 The key to its efficacy is that the bleaching gel comes in a 2-part mixing-system, in which one syringe contains a very highly concentrated yet extremely stable hydrogen peroxide gel, which becomes highly reactive (and therefore effective) when mixed with the Activator in the other syringe just prior to applying it to the teeth. What most dentists fear the most when bleaching a patient’s teeth is the sensitivity that usually ensues after the treatment. 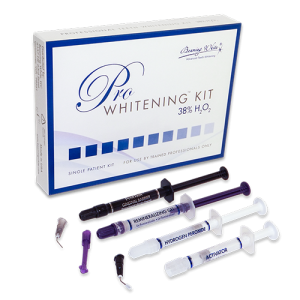 Beaming White solved that issue with the Pro Whitening Kit by adding a key desensitizing ingredient to the bleaching gel itself. For this reason, very few patients get any tooth sensitivity, and those that do get it very mildly. 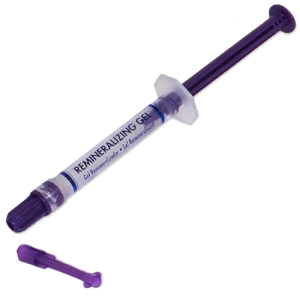 Just in case that isn’t enough for super-sensitive patients, the kit includes a full syringe of desensitizing gel, part of which should be used at the conclusion of the treatment and the rest should be given to patients to use at home in case they need it (hardly anyone ever does). 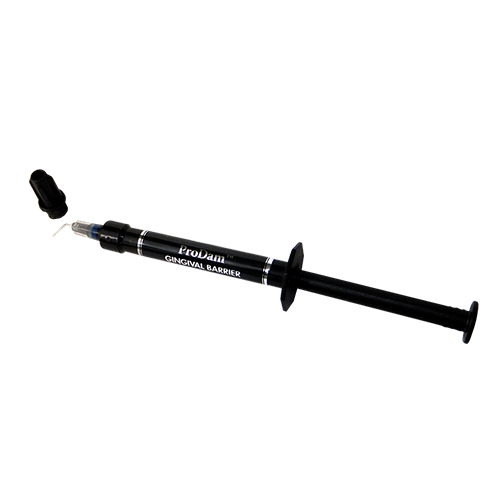 As if all this wasn’t enough, wait till you try our ProDam™ gingival barrier: nothing cures faster or more evenly than ProDam™ to protect your patient’s gums. 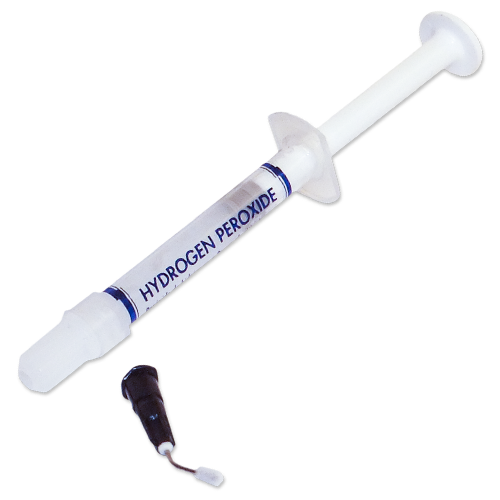 38% hydrogen peroxide is about the strongest teeth whitening gel you can get. 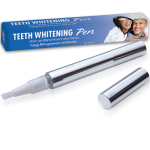 Beaming White offers this in the form of a mixing system consisting of 2 syringes. 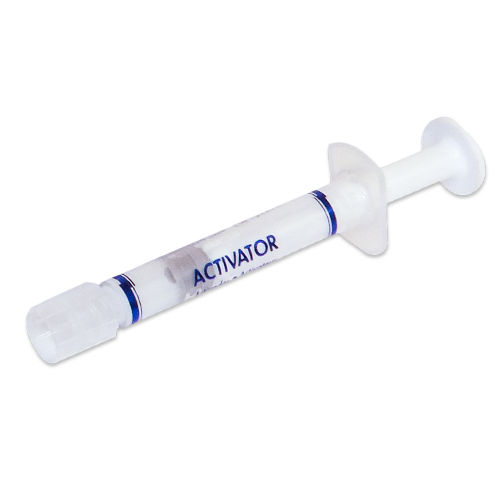 One has a concentration of gel that is higher than 38% and the other contains an “activator” solution. By separating the two solutions, we make the hydrogen peroxide much more stable, which is the only way to give it a longer shelf-life. 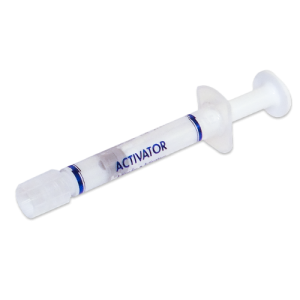 The activator solution changes the pH level of the hydrogen peroxide in order to bring it into range in which it can whiten effectively without damaging the enamel. This is a very simple system to use. 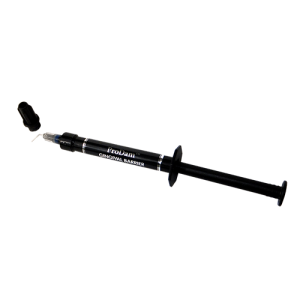 You simply remove the cap of each syringe, screw them into each other, and push the plungers back and forth rapidly around 25 times until the solutions are thoroughly mixed. 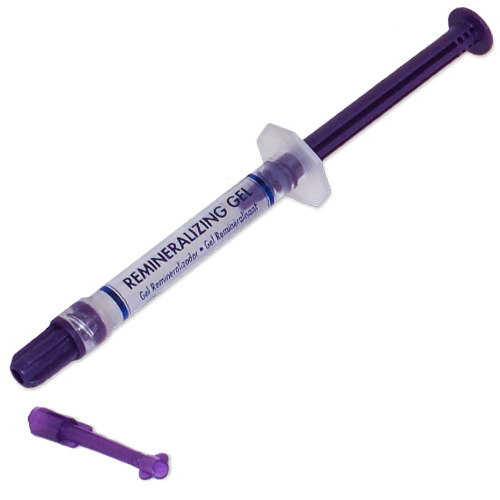 Then, you leave the entire solution in the “male” syringe, attach the brush tip and you are ready to apply the gel to your patient’s teeth. We are the only company in the teeth whitening industry that begs you to compare our products side-by-side with those of our competitors. We especially request that you do this with our Pro Whitening Kit. 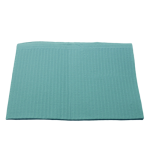 Our motto is that if you find something better than our product, you should buy it even if it costs twice as much – quality and results are that important.